This was funny twist on the stories of Santa Clause, St. Nick, Father Christmas and all others. Krampus the big baddie that knew how to educate spoiled, misbehaving children has been locked away for quite some time. When the Secret Society of Santa Clauses needs his help, Krampus goes all over running into winter icons, discovering sinister plots and saving the day. 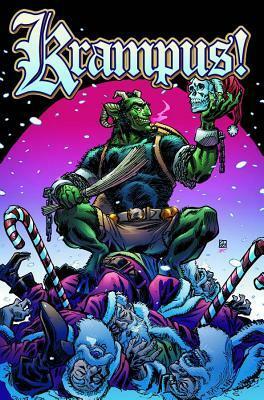 This book was inventive and gives us a look at the other side of Christmas; you know the side that involves a horned monster eating bad children. Plus his giant flying wolf Stutgaard just makes Krampus even cooler.